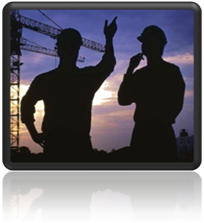 We are a fully organized design-build general contractor with offices in Elkin and Raleigh, NC. Our firm has over seven decades of combined experience in the areas of design-build, project management, project supervision, and project coordination. Putting the emphasis on personal involvement with the client, from the pre-construction phase to your final walk-through, is what sets Qwest apart. This quality, in combination with superior innovative design at an affordable cost, establishes a trust rarely seen in today's marketplace.